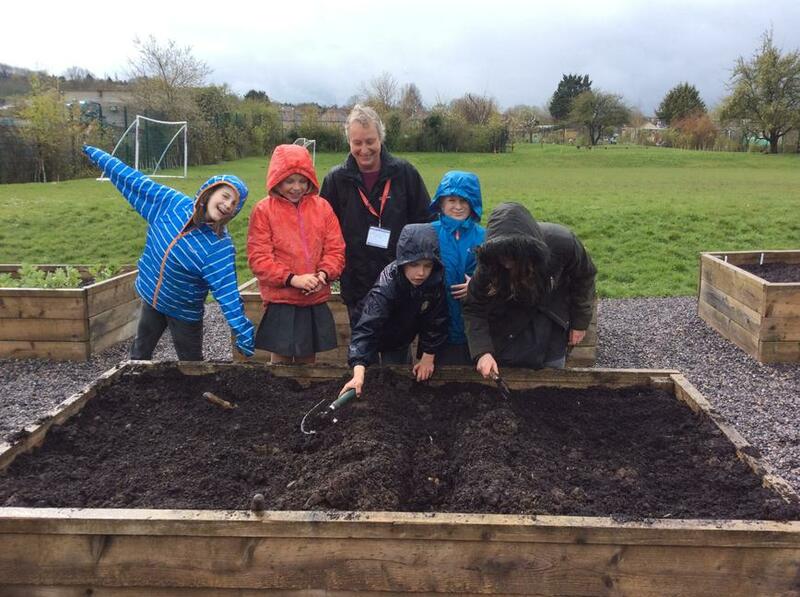 With the help of Flo Boden's green fingered granny, we enjoyed celebrating grandparent gardening week by planting out the seed potatoes in our raised beds. 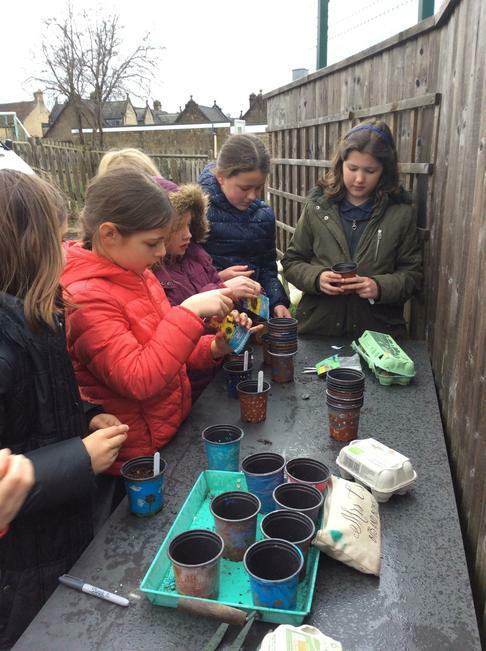 Several children also potted sun flower seeds that they will nurture in school and give to their grand parents in a few weeks time. We are hoping that the weather warms after the Easter break, so that we can start to see the first shoots of our potatoes and sunflowers appear.